I am an experienced and professional balloon twister and very good with children. I have a nice selection for boys and girls! I have worked many venues such as libraries, town and corporate events. I currently work for the Texas Roadhouse on Kid's night. I have recommendations upon request. 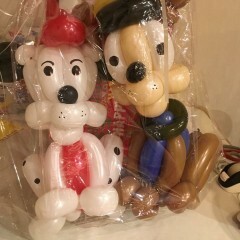 I will bring a theme related gift balloon for birthday child. I take my craft seriously an always try to give clients a great experience!!! my rates are very reasonable and I am always flexible. Thank you! Ceil was the perfect balloon artist for our event in West Hyannisport MA. She entertained the children for two hours as she made to order sharks, mermaids, octopus, super heroes as well as the more traditional swords and flowers. She'd make those too if requested, but our gang requested ocean life since we were over looking Nantucket Sound. I look forward to her sharing her talents with our community picnic again next year. Thanks Ceil. You were awesome Saturday night. It was a lovely night!!!! Thank you for having me!!! Ceil provided the perfect entertainment at our community picnic last night. She was constantly twisting for two hours and was chatty and engaging the entire time. She was a huge success and we will certainly call on her talent again next year. My husband surprised our son and hi, with her for his first birthday. She is the sweetest person and does AMAZING balloons, this made the party! The kids and adults LOVED her balloons and she was so kind and i would recommend her to anyone, I will use her again! Ciel was nothing short of amazing! We had a great turnout for our event and she was able to keep up an incredible pace to make so many kids happy. Her skill was amazing – we loved all of her designs. I can't wait to book her again!!! Ciel was amazing, the creations she had come up with were mind blowing! The kids where lined up. I saw spiderman, fishing rod with fish attached, Rudolph (with the blinking red nose!!) along with several different others. I am definitely going to have Ciel back for future events. I needed to be done. Would recommend greatly. Could not ask for a better experience ! I highly recommend her for your event ! thank you very much for such a nice review Much appreciated!!!! I will make balloons for your event. I come with a list of choices for girls and boys. The guests are allowed to choose what they want. 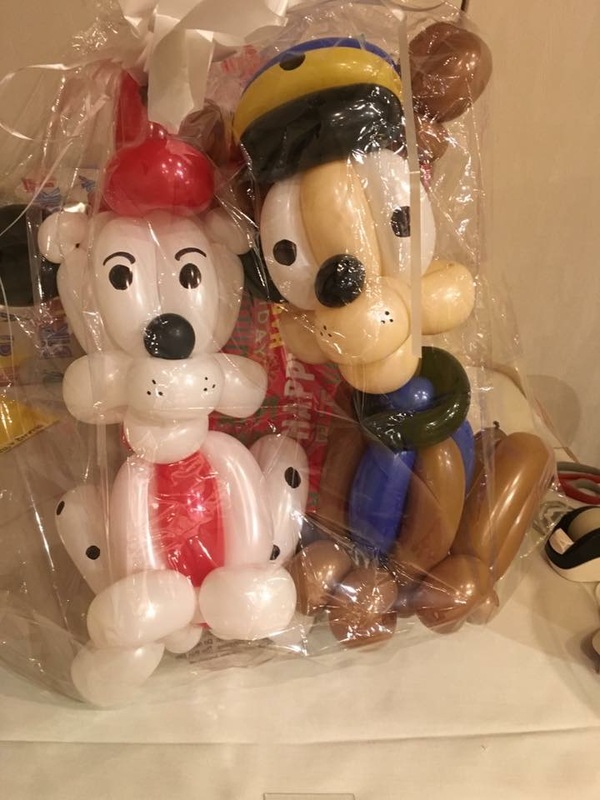 I also do a special balloon for the birthday person. I have been a balloon twister for several years. I have run a home daycare, been a substitute teacher, and presently work in a daycare so I am very kid friendly! 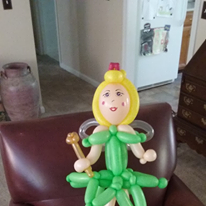 I am a warm and fun balloon lady. I also work for Roche bros grocery stores. and they use my services for special events. I have worked for Textron, Hewlett Packard, and Bob's furniture stores.